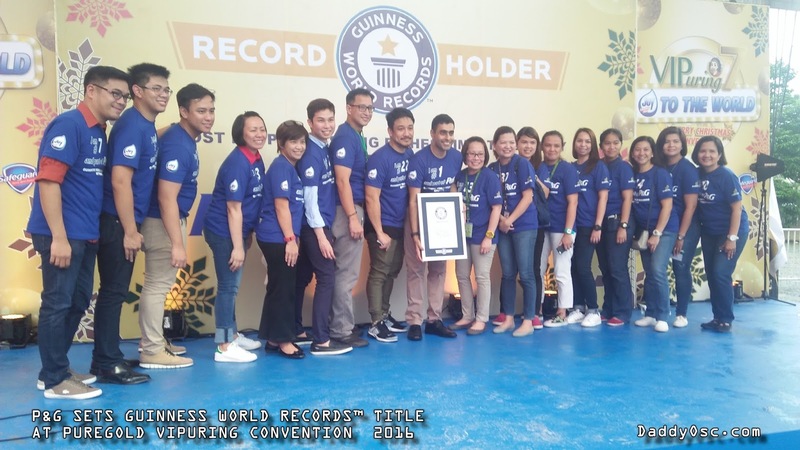 P&G SETS GUINNESS WORLD RECORDS TITLE AT PUREGOLD VIPURING CONVENTION | Daddy O! Congratulations to Procter & Gamble Philippines partnered with Puregold to the successful event of their 7th VIPuring Convention held on November 15, 2016 at World Trade Center, Manila Philippines. The VIPuring Convention honored the sari-sari and grocery store owners for their continued patronage of the supermarket chain. 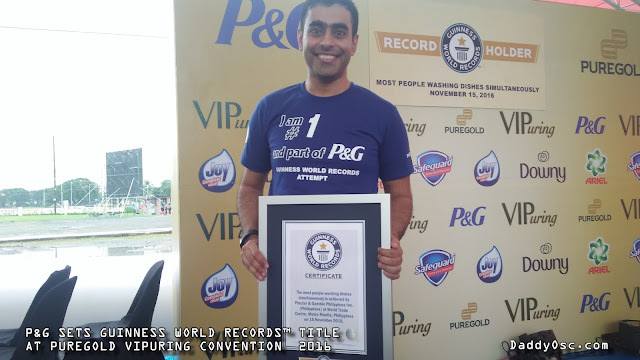 Not only that, because this is the moment that we are waiting for as P & G and Puregold set the record of GUINNESS WORLD RECORDS Title for the “Most People Washing Dishes Simultaneously” using just one sachet of Joy dishwashing liquid. 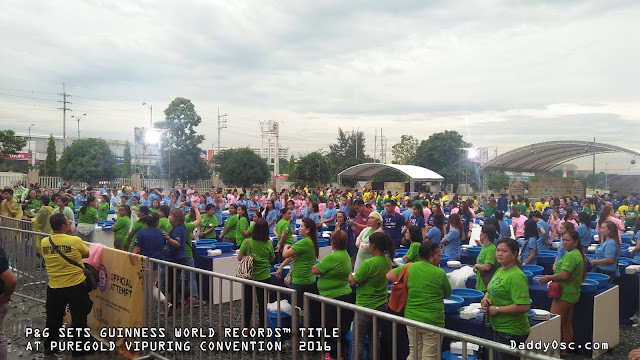 Joining the celebrations are the VIPuring members who participated the activity where thousands of plates needed to wash in a timed limit using just one sachet of Joy dishwashing liquid. Good thing that the rain stopped at the beginning of the event. 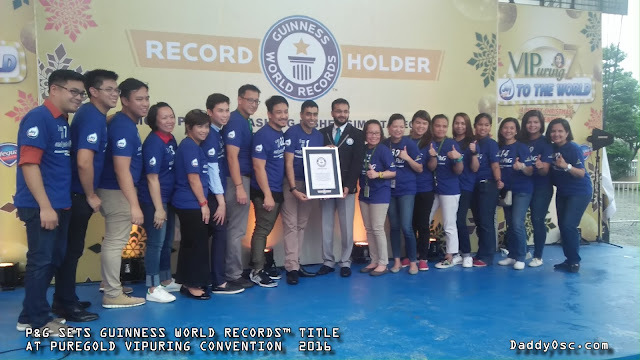 “We wanted VIPuring attendees to be part of a breakthrough and historic event, so we initiated this GUINNESS WORLD RECORDS attempt. 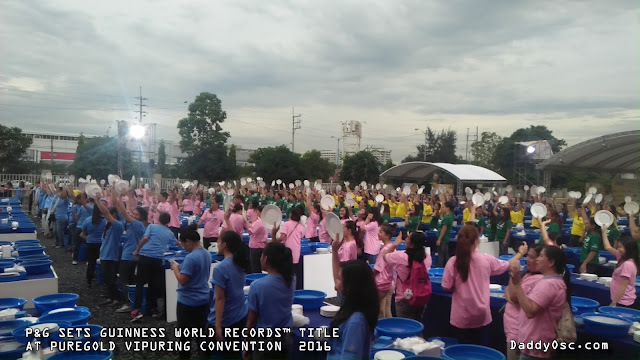 We gathered 300 people to wash plates at the same time to set the record”, says Shreyas Subbaraya, head of shopper marketing, Procter & Gamble Philippines. According to Shreyas, "To welcome the New Year 2017, people washed 2,017 plates with just one 45ml sachet of Joy Kalamansi. 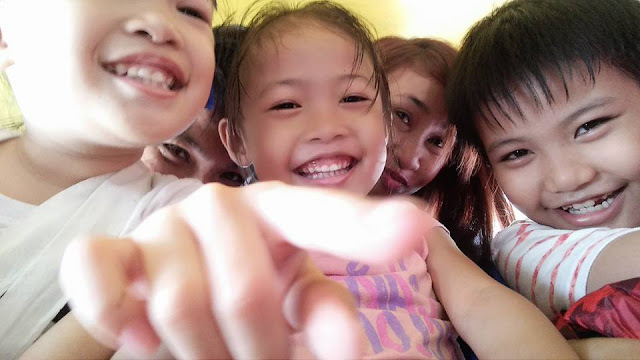 “This demonstrates Joy’s remarkable Bisang Katutak performance”. Indeed a truly amazing when it comes to washing the dishes. Yours truly is using the Joy dishwashing at home when it comes to the household chores of washing the dishes after meal. Part of this occasion is giving a special treat to all VIPuring attendees. 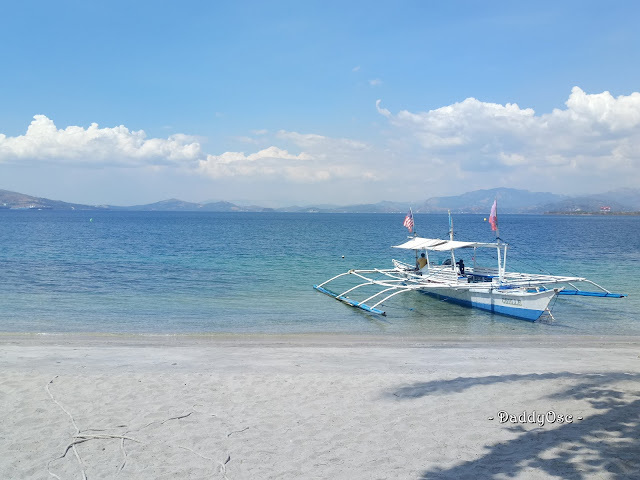 There are showbiz personalities sharing to this momentous event like actor Luis Manzano, actor and producer Gerald Anderson and two of the country’s most admired singers Jaya and Jose Mari Chan. 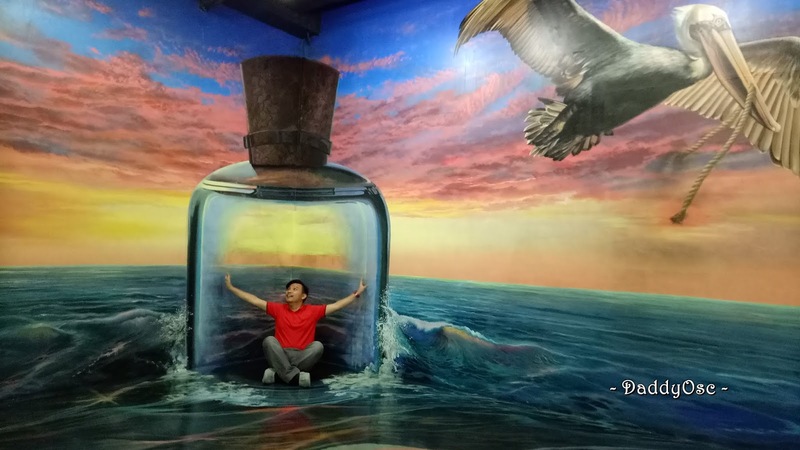 This is the theme of 7th VIPuring convetntion with Joy dishwashing liquid as its featured lead brand. 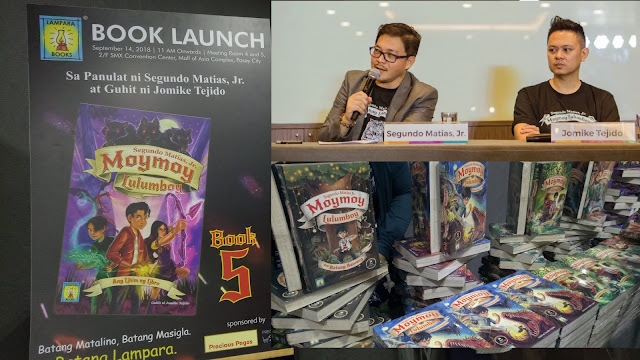 Other leading P&G brands such as Safeguard, Ariel, and Downy were also featured in the event. P&G serves consumers around the world with one of the strongest portfolios of trusted, quality, leadership brands, including Always®, AmbiPur®, Ariel®, Bounty®, Charmin®, Crest®, Dawn®, Downy®, Fairy®,Febreze®, Gain®, Gillette®, Head & Shoulders®, Joy®, Lenor®, Olay®, OralB®, Pampers®, Pantene®, Safeguard®, SK-II®, Tide®, Vicks®, and Whisper®. The P&G community includes operations in approximately 70 countries worldwide. Please visit http://www.pg.com for the latest news and information about P&G and its brands.